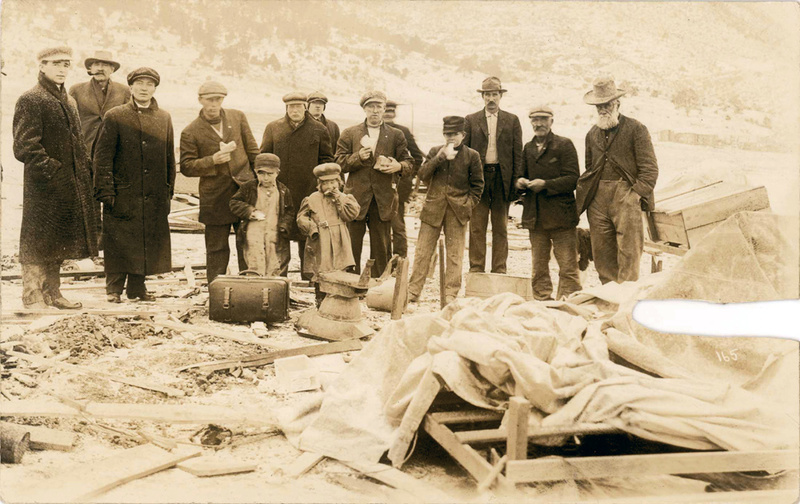 Coal miners, a boy, a teenager, and a young girl eat slices of bread near the remnants of the tent colony destroyed in the Ludlow Massacre in April 1914. After the massacre, the Rev. John O. Ferris of Trinidad led efforts to recover bodies. Image courtesy of Denver Public Library, Western History/Genealogy Department.